Back in January, Adept’s Erin Rapacki told that it’s time to start 3D scanning the world. But it’s not an easy thing to actually go and, you know, do. There are approximately 975 bajillion different objects out there in the world that robots need to know how to interact with, and the only way we’re going to learn about them all (short of Google throwing approximately 975 bajillion dollars at the problem) is through a cooperative, crowdsourced effort like this new project called Kinect@Home. You download some drivers and a plugin from the Kinect@Home website. Plug your Kinect into your computer. Run the plugin, and move your Kinect slowly around whatever it is that you want to create a model of. If you want to get crazy and download the model itself and mess with it, you can do that too. Cool! The whole point of this is not really to give you a nifty new 3D modeling tool. Rather, Kinect@Home is hoping that people will make scans of every single last one of those 975 bajillion different objects that exist, which Kinect@Home can then analyze, categorize, and use to create better computer vision algorithms. From a more practical standpoint, we’re talking about teaching robots to be better at navigating environments and manipulating objects. For example, let’s say that we want to teach a robot to open a refrigerator. To do that, a robot first has to recognize a refrigerator, but there are all kinds of different refrigerators and we have no idea what particular sort our robot is going to be asked to deal with. With a Kinect@Home dataset, it might be possible to go check out models of thousands of refrigerators in people’s homes, and use those models to teach our robot how to locate (and even open) a generalized fridge. And once the dataset exists, there are all kinds of other things that we could do with it too, from object recognition to semantic mapping to localization to scene comprehension. 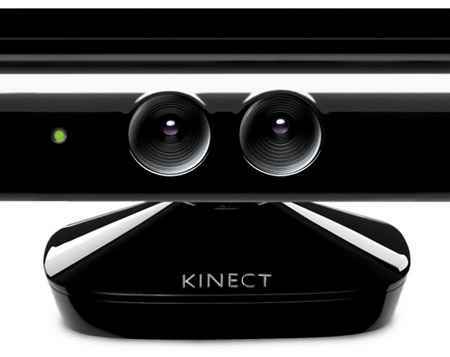 Kinect@Home is totally, completely free, and you can download it at the link below.